Both men and women came together in “equal” number to be a part of the protest. 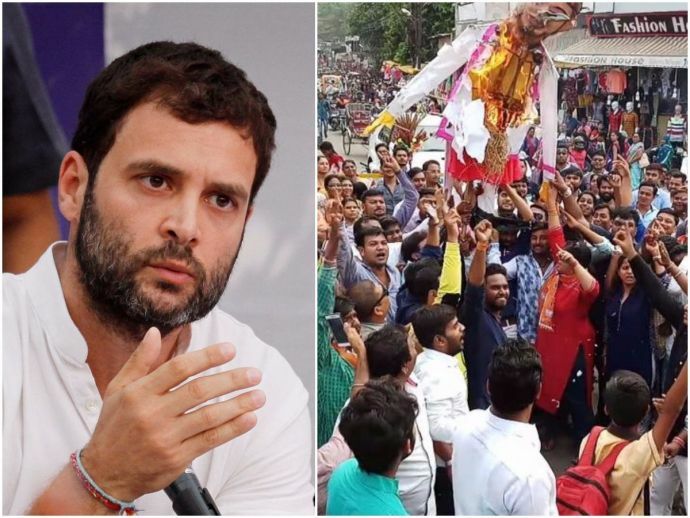 On Tuesday, Rahul Gandhi attacked the RSS and BJP in his election campaign in Gujarat, by accusing them of not giving an equal status to women. He went on to question the fact that how many of these women attended ‘shakhas’ of the Sangh. He quickly quipped in saying that the scenario in Congress is in contrast and that women are seen working at every level. 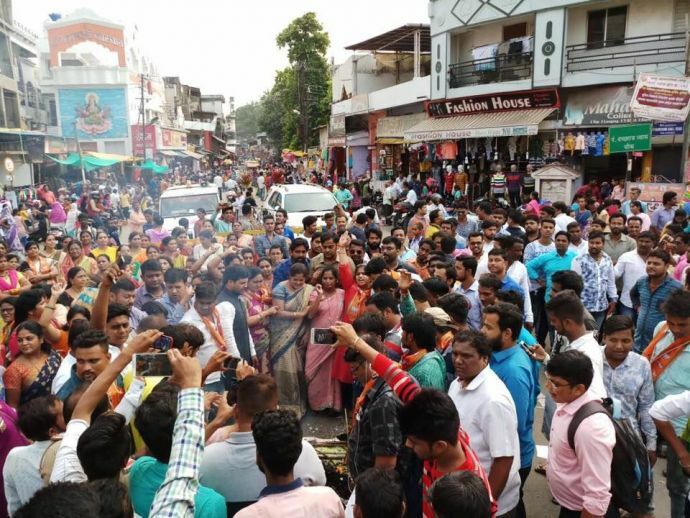 "The BJP's thinking is that till women are silent they are good when they start speaking up they try to shut them (women) up," Gandhi said at a gathering of students here on the second day of his campaign. Rahul further embarrassed himself by asking sarcastic questions like, "Their organisation is the RSS. How many women are there in the RSS... Have you ever seen any woman in shakhas wearing shorts?" It is to be noted that the khaki shorts were a trademark of RSS volunteers during the drills in past until they switched to full pants over a year ago. RaGa’s statements left both RSS and BJP fuming. The former Gujarat CM Anandiben Patel requested an apology from the Congress. 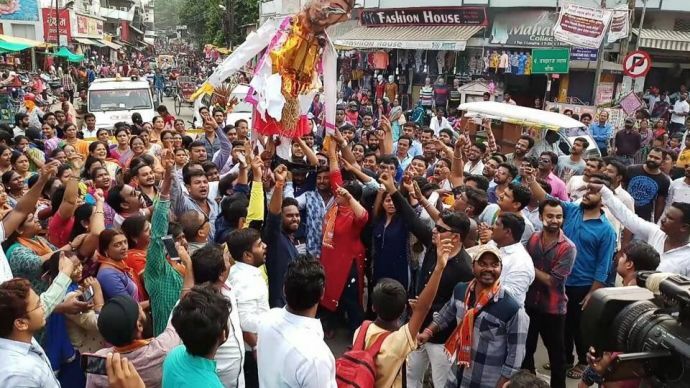 While some like Anandiben settled for an apology, other like the members of Bhartiya Janta Yuva Morcha Nagpur City staged a protest against Gandhi. Nagpur houses the RSS headquarters and the statement saw a major backlash from the likes of both RSS and BJP. 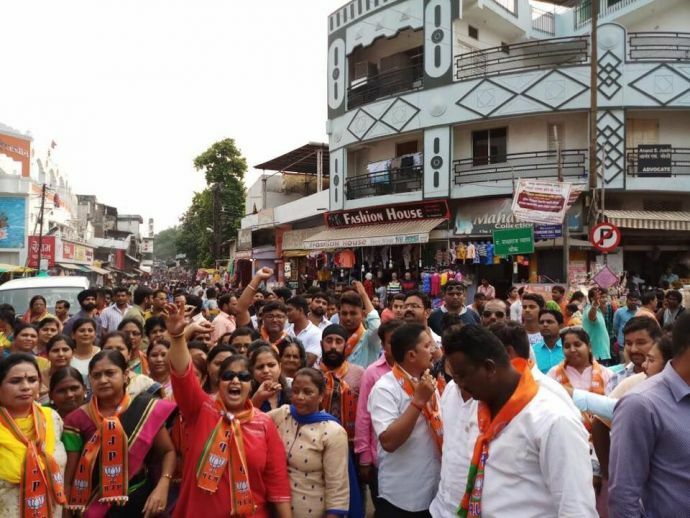 The demonstration was led by Shivani Dani, former National Executive Committee Member of BJYM along with the guidance of Sudhakar Kohale, the City President. 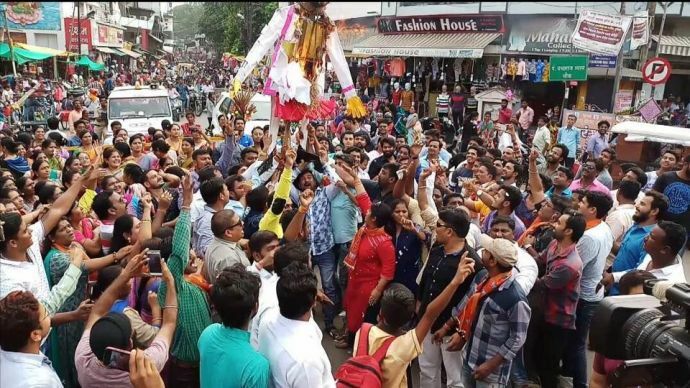 Both men and women came together in “equal” number to burn effigies of Rahul Gandhi on the streets of Badkas chowk area where the RSS headquarters are situated. People were seen shouting slogans ‘Rahul Gandhi murdabaad’, ‘Rahul Gandhi hosh mein aao’, to name a few. Dani also answered back to Rahul Gandhi by suggesting he should not talk about the Sangh and its code of behavior if he hasn’t any idea about it. While speaking to Reacho Nagpur, Shivani clarified the baseless allegations made be Rahul. "Rahul has always made a fool of himself and it is a given that much of whatever is not true. It has now become a trend to criticise RSS and the sangh to grab any little attention. I would like people to know about what exactly RSS and sangh are before making any opinion based on what other people, especially like Rahul Gandhi, say," she said.